Fairy tales are amazing. I love stories about the supernatural. I love stories about darkness and heroes overcoming obstacles. I also love sarcasm, dry humor, and bloodshed. For some reason, I have only recently found out about the Witcher franchise. I have started with Witcher 3 on Steam and I am so enamored. This game has everything I love, and so much that I wasn’t expecting out of a video game experience. I have even begun my Ciri cosplay, including figuring out how to use makeup to look like scars and bruises, even though I am mostly clueless regarding all things makeup related. I am holding off on the hunt for the books that the franchise is based on, so I can enjoy the game for what it is. I may hold off on the books until after the Netflix series is completed. I am a firm believer in not ruining the video by reading the books second. …That doesn’t make much sense. You get what I mean though, right? I mean, I read this one book about the feywild, a boy, and a star, and it was amazing. So many things about it worked because it was written like a fairy tale. In fairy tales, things happen a certain way. For instance, prophecies are made and then fulfilled. In the movie, and most movies based on stories like this one, there is a tendency to make things go a certain way to pacify the masses, or dumb stuff down so you don’t have to be paying full attention to all of the details. While this movie had its moments, I was saddened by it overall because it had ultimately taken out all of the fairy tale elements that I had so enjoyed in the reading of the book. Everyone who has seen a movie based on a book has had a similar experience. Reading creates the world inside the mind. Having that translate to the screen doesn’t always result in the same world for everyone. But, I digress. The point was that I will not spoil the experience by doing things out of order. This is not the Game of Thrones. That will be a different post entirely. For the GOT, I have read the books and watched the show. Each is good in its own right and I love them both. If more books could transition to the screen like that, it is possible that people would read more books. Or fewer, because they would be able to watch the stories unfold before them. Or more, to see what is different between the screen and print. To get back on why I started writing this post at 11:30 at night, I am enjoying playing Witcher 3. It is very similar game play to Skyrim in that it is an open world and the actions that you take, the decisions you make, the way you interact with the people and environment around you, all have an effect on how the story progresses. The amount of detail in everything is staggering. I highly recommend checking it out if you haven’t already. I don’t want to give away any spoilers. There is so much game, and I have only barely scratched the surface. It is a dark world, filled with shadows and monsters. I enjoy spending my time there. People are people. Monsters are monsters. People are monsters. Monsters are people. It is fantastic. I hope this post makes sense. I think I might need sleep. I’m headed off to bed. Until next time. Also, I found out today that there are 36 different endings to Witcher 3. It will be interesting to play through and see what actions cause the different outcomes. 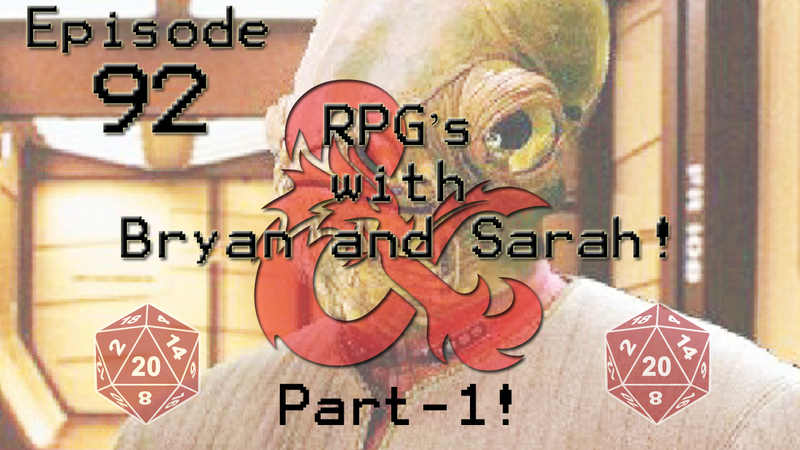 Episode 92: RPG’s with Bryan and Sarah! – Part One! You have walked this path many times in your life. The woods know you, and you, in turn, know the woods. The path you take has been worn thin from years of use. So many years, in fact, that you could easily traverse this path blindfolded. However, this day, it seems, would be different. Deep within your own thoughts, you trip over a large rock that has never been on this path before. Curious, you inspect the strange obstacle closer. The rock appears to be just that… A normal rock. Yet, as you pick it up, it feels warm to the touch despite the rather cold fall weather that is normal for this time of year. As the voice fades from your mind, you hear the snapping of twigs off of the path proper. As you turn to look for the source of the sound, you see a small band of goblins approaching, weapons drawn. Shaking with fear and excitement, you reach down at your right hip to find a short sword at your side that you don’t recall being there before. Without question, you draw your blade, light gleaning from the almost mirror-like finish. Every muscle begins to tense in your body, and you now finally realize, in this one singular moment… that your wish has been granted. As you could probably tell from the above, today’s episode is all about RPG’s! Returning guest Bryan and first time guest Sarah sit down with us to talk about role playing games! We start out by talking about our first experiences with RPG’s ( Dungeons and Dragons seems to have been the popular first) and then we touch on MMO’s and if they really fit into the genere of RPG’s! 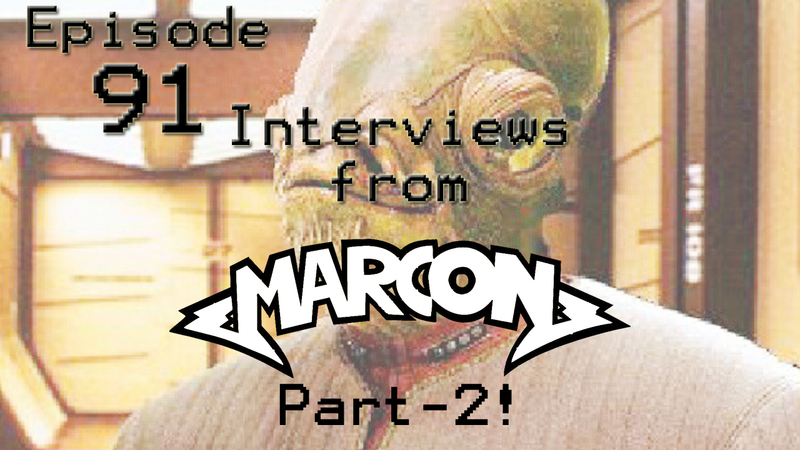 Episode 91: Interviews from MARcon – Part Two! Today, we bring you part two of our interviews from MARcon that happened on May 11-13th! Episode 90: Interviews from MARcon – Part One! Today, we bring you part one of our interviews from MARcon that happened on May 11-13th! 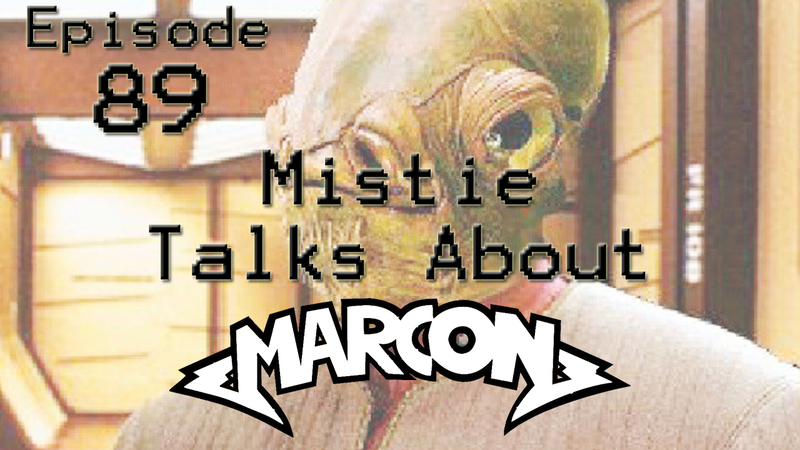 Episode 89: Mistie Talks About MARcon! On today’s episode, we bring back Mistie Sparks to talk about MARcon! The Multiple Alternative Realities Convention in Columbus, Ohio! Mistie is the head of the gaming department, and she talks about the history of the convention, how it’s grown, and what con goers can generally expect from this huge convention! Check out http://marcon.org/ for location and ticket information, and don’t fprget to hit up the Cards Against Humanities gaming table and say hi to our Boss Monkey Troy / Mr. Uncommon Geek! 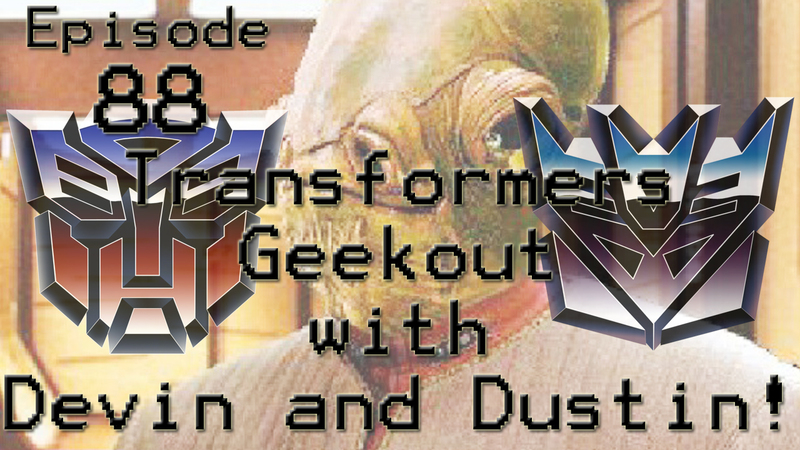 Episode 88: Transformers Geekout with Devin and Dustin! On today’s episode, we will be geeking out about Transformers! Those “Robots in Disguise” that we all remember from our childhood! We bring on Devin and Dustin, two of the most highly educated people I know on the subject on things that are “More than meets the eye.” and we talk about the hsitory and the various adaptations that The Transformers have gone through over the years. 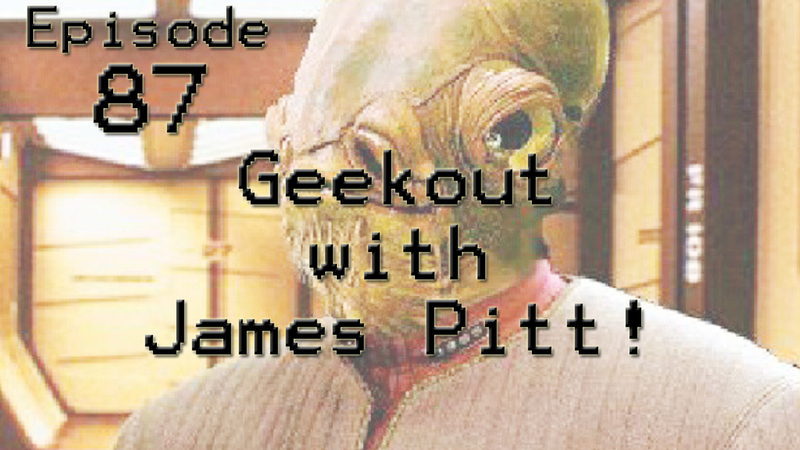 Episode 87: Geekout with James Pitt! Today (or tonight depending on when you’re listening) on the podcast we have James Pitt of Dayton Artist Movement Productions in for our very first geekout episode since being R3C0NF1GUR3D! We ask him”The Question”, ask him a little about himself, and then begin talking about and geeking out on science fiction, and ever so lightly brush on the idea of conspiracy theories! Check out the Dayton Artist Movement Productions Facebook page at https://www.facebook.com/Dayton-Artist-Movement-Productions-500377143637457/ and give it a like! Let him know that you heard him on the podcast!